Every time I walk past our local library I see the backside of a mysterious little house covered in moss and protected by a fern. Each week some new element appears and while I didn’t want to creep around the planting bed to take a closer look I finally gave into my curiosity and wandered into the children’s reading area. This tiny one room cabin is visible through a large floor to ceiling window in a quiet corner of the library where kids can relax, watch for little creatures and enjoy everything the library has to offer. Posted as part of the Weekly Photo Challenge: Room. Room for the seven drawfs. I wonder if it is related to a children’s story. Very cute, Lisa. Haven’t seen another like that yet. What a lovely story. Someone obviously cares very deeply about the children to take such care with this. Great post, Lisa. Thanks so much, Stacy. 🙂 This little house is one of may reasons why this library branch is a favorite place for families in the area. Great photo for the challenge! It made me think of our travels in Bali, where many people have “spirit houses”. 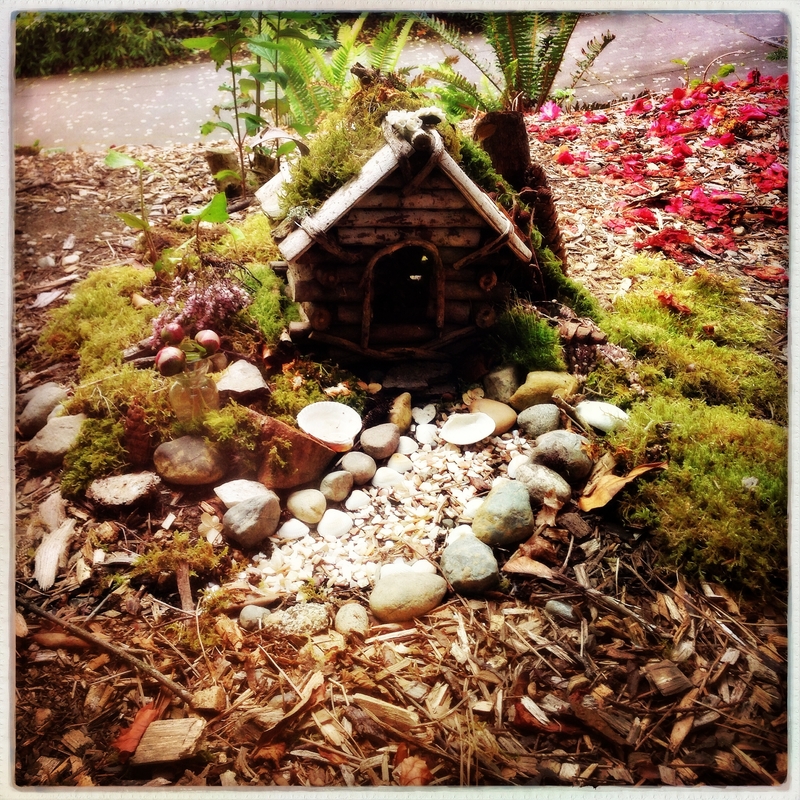 Miniature dwellings for spirits that protect your home. They use them for offerings and prayers. What a great little house! Very peaceful. I’m glad you like it, Nancy! Oh, what a perfect capture for this challenge! Wonderful. And I love the description of the library room for the kids. A wonderful shot! And i just showed it to my wife she loves the idea of a relaxing place for the kids in the library! Thanks for your nice comment and how great that your wife likes it too! Wow! Sounds like fun to watch and even more fun watching the kids as they watch the mini house. Nice post. Wow! Sounds wonderful. I think I’m going to borrow this idea and put one in my yard. Nice, I hope you post a photo when you’re ready!